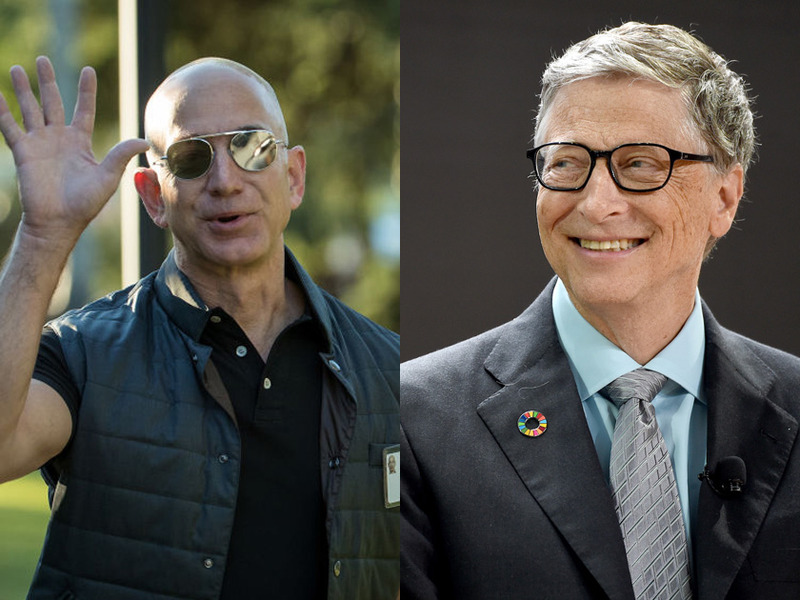 Jeff Bezos and Bill Gates are the two richest people in the world. Bezos and Gates, both founders of massive tech companies, own homes less than one mile from each other in Medina, Washington. At least five other tech and retail billionaires own homes in Seattle suburbs. Jeff Bezos and Bill Gates — the world’s two richest people — are neighbors. The tech titans live less than one mile from each other in Medina, Washington, a secretive and exclusive suburb located just across Lake Washington from Seattle where the median home value is over $2.7 million.